If you’re a Simpsons fan, then you know that they were the first to predict that Mr. Donald Trump would be the President of the United States of America. In the episode ‘Bart to the Future’ (back in 2000) they talk about how Trump’s presidency left the country in financial trouble, apart from other things. If you’re a keen believer in data science and what it can do, then you know there is also a data science-powered AI that predicted Trump’s victory. Unlike the Simpson’s episode, MogIA used 20 million data points to make this prediction. The system studies data from systems like Google, Twitter, and YouTube. Although Ms. Clinton spent more on ads and set up more field offices, Trump always had more mentions on Social media. His support on Twitter and Facebook was much more than what Hillary had. MogIA was able to accurately analyze this data and predict the right outcome much before anyone else could. If you look at the number of mentions on social media, you too might think that predicting Trump’s victory is not that tough. But, there’s more to it than that. Not all publicity is good publicity remember? 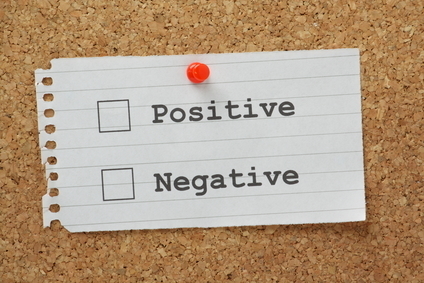 And more interestingly, MogIA can’t analyze if a post is positive or negative. The startup that created this AI tool here in India (Mumbai) in 2004, holds the secret answers. According to MogIA’s developer Sanjiv Rai, it learns in real-time analyzing data on the internet and is not influenced by programmers or developers’ biases. MogIA learns from her environment, develops her own rules at the policy layer and most importantly, it does not ignore ANY data, says Rai. A lot of people do not want to give a lot of credit to MogIA. Plenty believe that it could just be a fluke.But, this is not the only result that MogIA has got right. Keep in mind that MogIA was so good that it was able to predict the winner BEFORE the FBI took a look at Clinton’s emails. It’s more reliable as it beats the old-fashioned survey method by miles. People hate the fact that someone can judge them based on their opinions. So, they rarely share their true opinions. On social media, however, they like, share and post with less fear of judgement. Their data from social networks is more likely to be truer and a more accurate representation of themselves. The rapid growth rate of data will create 1.7 megabytes of new information every second for every human being on the planet by the year 2020. Hence, we need means to understand it better.This is why the fields of Data Science, Big Data and Data Analytics are going to get a lot more attention the coming years. The benefits of being able to understand, organize and analyze this data effectively will have major advantages in the future. If you’re looking for a path with assured growth and demand, you can’t go wrong here. Leave us a comment and let us know if you believe in the power of Data Science and MogIA or you think that this prediction was just a bit of luck.